What are these devices outside my patio door? 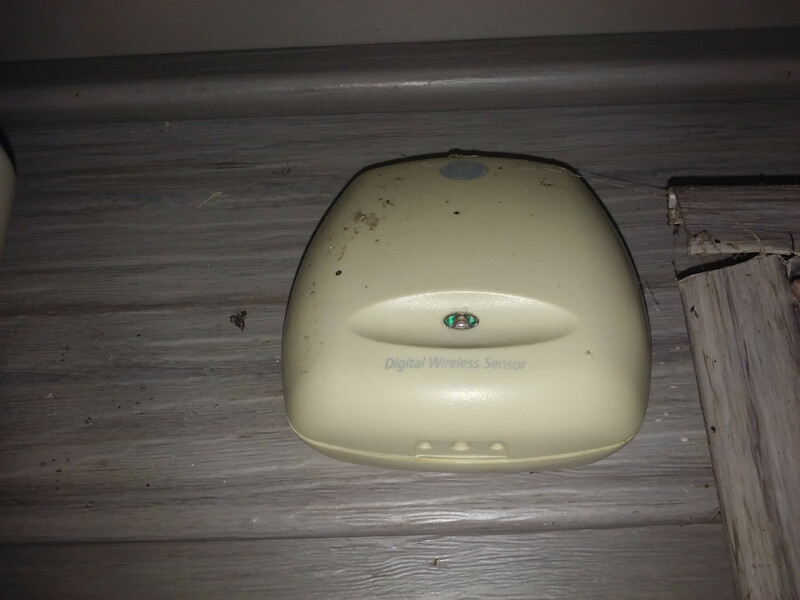 I have these two devices outside my patio door and I have no idea what they are or what they are used for. The one on the left is a remote thermohydrometer. It reads the air temperature and humidity and transmits the data to a weather station. The one on the right could be a similar device, or else a short-range transmitter that repeats one of your utility meters so the meter man can read it from his van as he drives by. You should do a network search (eg Google) for the words written on the device. 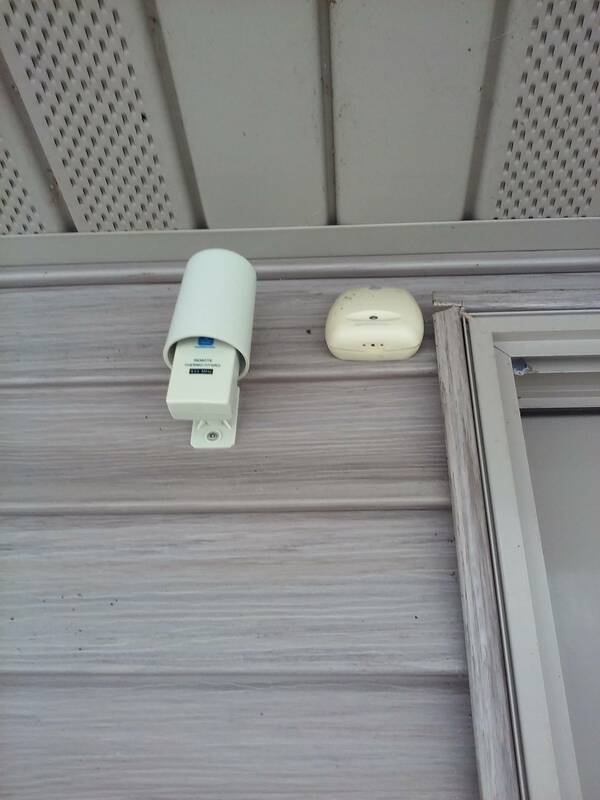 I believe the box on the right is a temperature sensor: http://www.amazon.com/GE-WIRELESS-DIGITAL-OUTDOOR-THERMOMETER/dp/B001E6DVT6. What are switches activated by a closet door called? What are these clips on the wires in my junction box? Are entry door systems with lock release secure? Are there electrical outlet plates or devices that can be put inside the electric box to measure power usage? Are these my ground wires? What thickness cable should I use to wire these outside lights? What are these devices mounted on old fashioned domestic electric trunking?